Home > News > A year of investment – finer finishes, vibrant colours and eco-friendly too! 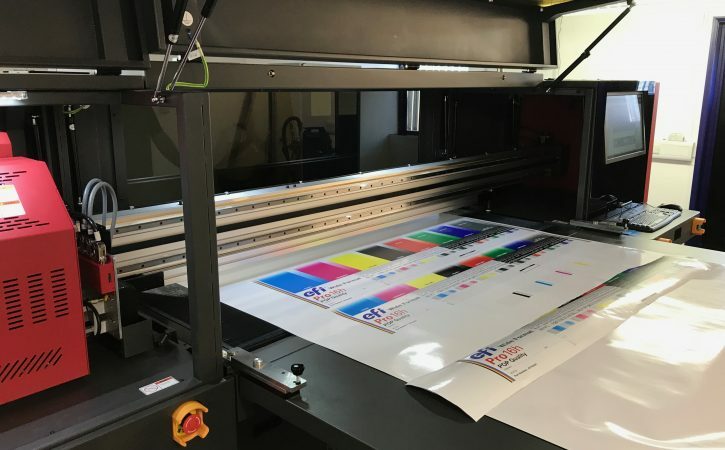 We’re up and running with our new wide format printer – it’s amazing! The PRO 16H LED Wide Format Inkjet Printer is the latest addition to our signage, print and production facility here in York. As well as the usual four colours print the PRO 16H LED can produce white ink prints. 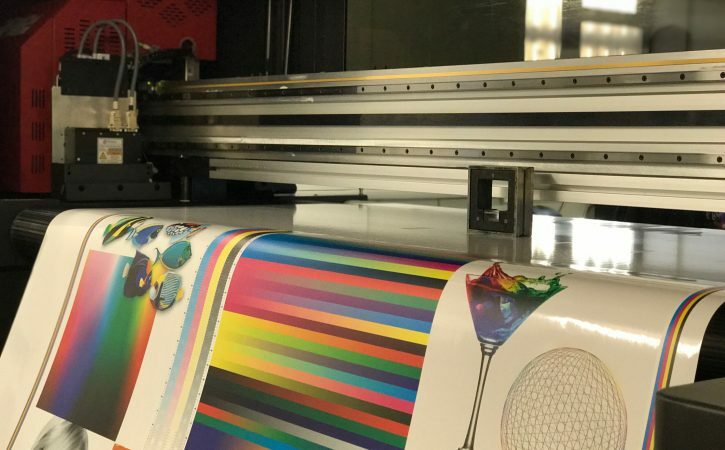 This superior piece of machinery has the functionality to print on an extensive range of flexible and rigid substrates to include fabric, wood, acrylic and glass providing more opportunities for unique creativity. One of its key selling points to us was the lower energy consumption and less waste. 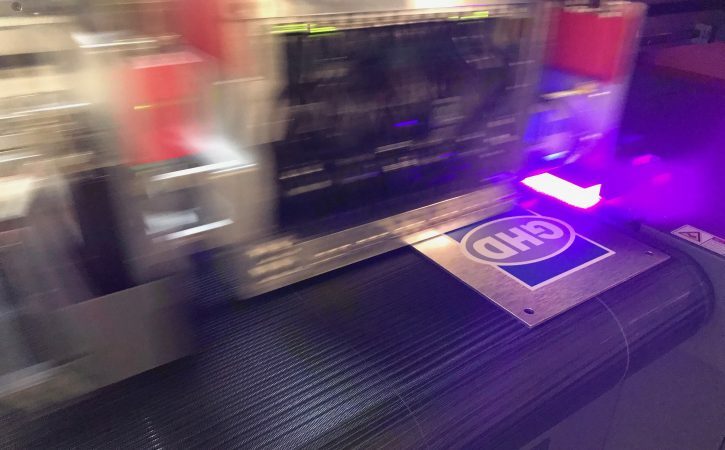 The old-style printers used mercury arc lamp, these had to be replaced every 1000 hours of usage, waste that is extremely harmful to the environment. The LEDs are guaranteed for five years and provide a greener print solution. At the start of the year, we invested in a CNC Flatbed Router. This machine is able to house 17 different cutting tools resulting in extremely clean edges every time regardless of the material used. This router can cut anything from acrylics, to stainless steel, again opening up the opportunities for more creativity and bespoke products. Sales Director Richard Hunter said: The speed of the printer has certainly helped with turnaround times pleasing us and our customers. We try and produce all our work in house to ensure 100% accuracy and superior quality. This new printer, together with the CNC Router, allows us to do this. 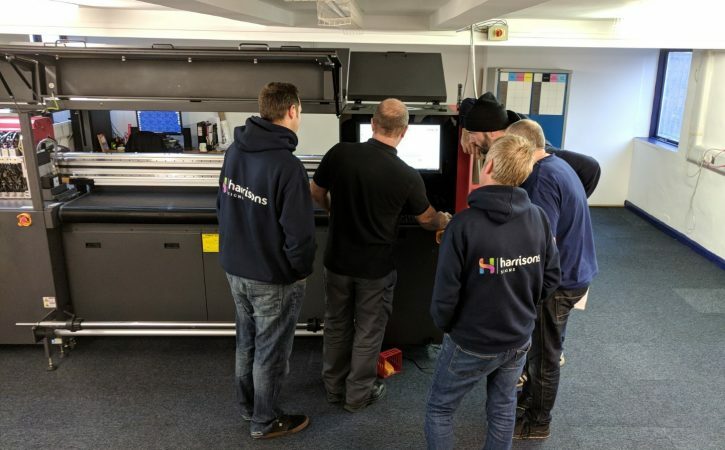 Production Director David Robinson said “Innovation is key, we put time aside to test out new products and techniques, having these two machines allows us to do this. Research and development is an important part of the job for our sign makers, the results being an amazing end product for our customers”.